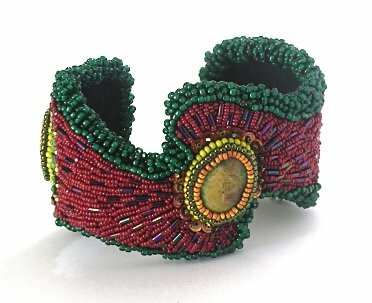 A bead embroidery cuff based around 3 Serpentine cabochons. The cabochons were attached using square stitch in 3 different sizes of seed beads and the cuff was finished with seed and bugle beads, sequins and a looped edge. You can see the back view of the cuff here.